Not film documentaries, documentaries about films. There is a difference; these are not your typical behind the scenes, how a movie is made kind of docs. These are about how some movies never got made like The Death of Superman Lives, Doomed, and Jodorowsky's Dune. Or movies about how people interpret Kubrick's The Shining like Room 237. Plus many, many more. Join Carlos today on GeekFest Rants as he explores all these excellent documentaries(about films). What if.... That's how many genre stories start. Today on GeekFest Rants Carlos will visit the world of Alternative History, also known as Speculative Fiction. We have a vast selection to pick from, like Red Dawn, Watchmen, The Man in the High Castle, and A Handmaid's Tale, to name a few. Then we return to Return of the Jedi Kenner action figures. This time we hit the 77-79 backs with classics like the Max Rebo Band and the Emperor. And on our comic book segment we travel back in time to Escape from the Planet of the Apes. How does the comic book measure up against the movie? And whatever you do don't call the apes monkeys. 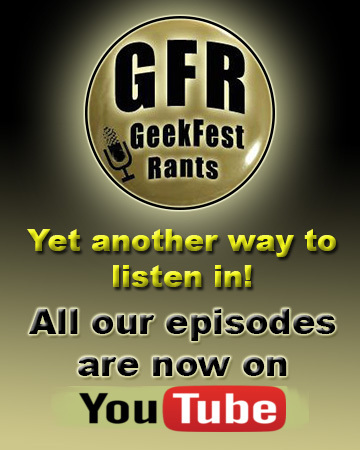 Today on GeekFest Rants we are going to unleash the Rant. In this episode, Carlos and returning Contributor Zeke Springer, recommend six movies everyone should watch before voting on this year's Presidential election. This list includes funny and serious films such as Do The Right Thing, Network, Idiocracy, Mr. Smith Goes to Washington, A Face in the Crowd, and Bob Roberts. WARNING: this is a very heavy political episode and the views expressed are solely the ones of Carlos and Zeke. Before PS4, before Xbox One, back when dinosaurs ruled the world, we had Atari. 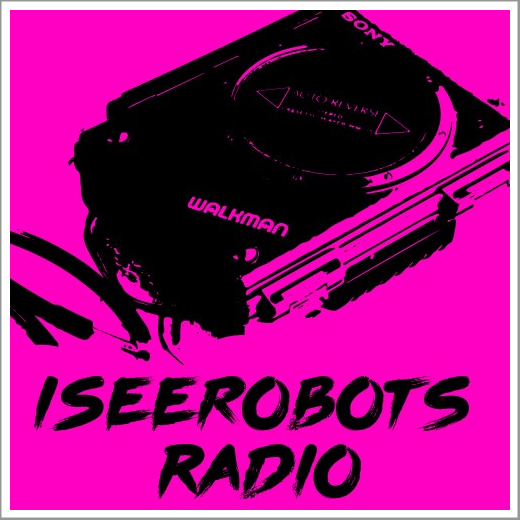 Today on GeekFest Rants, Carlos and James are kicking it old school by traveling to the early 80's to visit their old childhood home video game systems. Listen as they go through their pre and post Atari gaming age. Did they join the famous E.T. cartridge dig? And, of course, were there any Star Wars games in their collection? 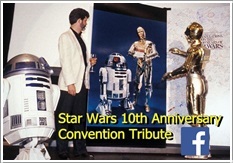 As you know, some of us here at GeekFest Rants are obsessed with vintage Star Wars toys. So where can you find out more about where and how, these Kenner masterpieces were manufactured? By watching the DVD documentary, Plastic Galaxies. Today, we take you to a one on one interview with documentary director Brian Stillman to learn how he made the documentary and what he learned from super-collectors as well as ex-Kenner employees. Click HERE for the PLASTIC GALAXY WEBSITE. Plastic Galaxy: The Story of Star Wars Toys SNEAK PEEK TEASER FOOTAGE! from Plastic Galaxy on Vimeo.